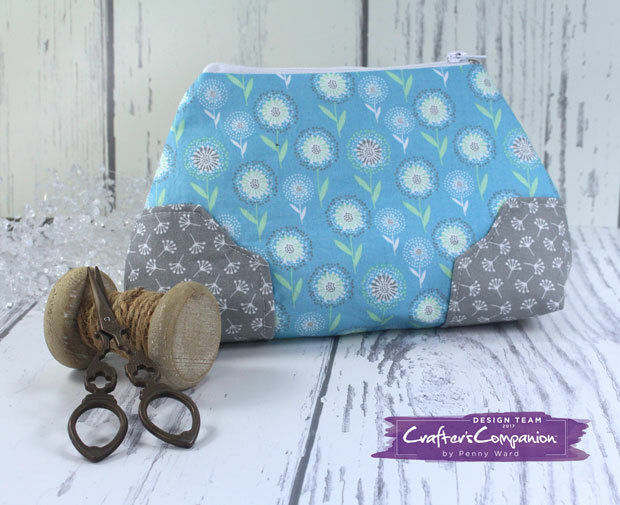 Purse making kits, fabrics, threads, sewing notions...just about everything you can think of to whip up some really cute home decor or personal items. 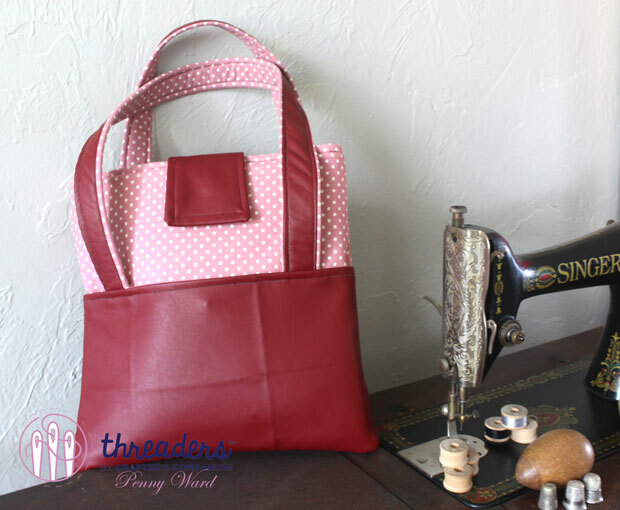 The purse above is their Tote Bag Kit using Faux Leather and Polka Dot fabric. 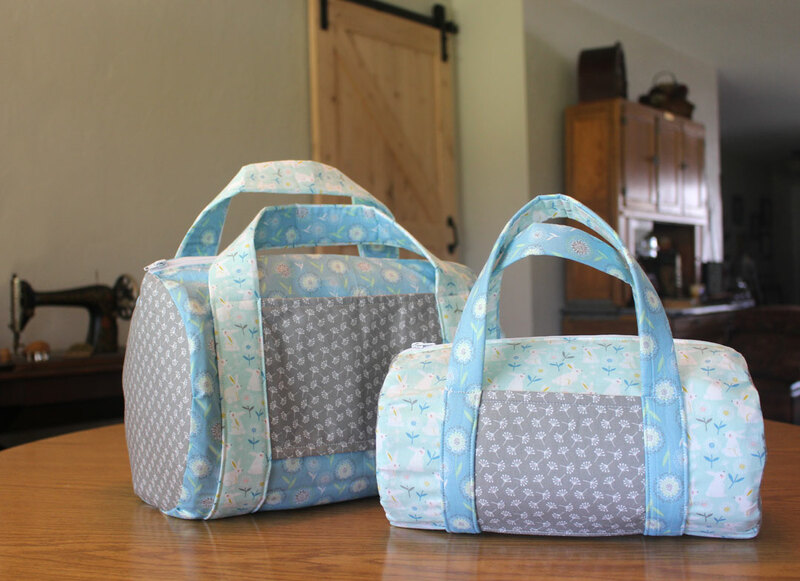 How about a couple of Duffel Bags made with their Cottontail fabric? and a matching zippered pouch. and you thought I only made cards!